You are invited to join an interdisciplinary group of researchers, practitioners and policy-makers from across Europe to explore how organisations can learn effectively from incidents across different sectors: energy, health, finance, construction and further afield. So far this seminar series has explored key issues and gaps in the field of learning from incidents and has devised a set of preliminary research questions for an interdisciplinary R&D agenda (Seminar 1); examined various theoretical perspectives (Seminar 2) and methodological approaches (Seminar 3) to learning from incidents, from a range of disciplines across Engineering, Social and Life Sciences; and discussed examples and issues from policy and practice perspectives (Seminar 4). In this fifth seminar we shall discuss how to strengthen the link between research and practice in learning from incidents (LFI). How could researchers, practitioners and policymakers collaborate to advance learning from incidents? What models and frameworks could effectively facilitate cooperation between these different stakeholders? What are the key priorities in learning from incidents and what could researchers do to help practitioners and policymakers improve LFI? How can LFI research be best communicated to practitioners and policymakers? Participation is free. A buffet lunch will be provided. This 5 day course delivers a comprehensive introduction into human factors for non-specialists. It provides a practical, engaging and interactive background to key topic areas, as well as to how human and organisational factors (HOF) can be applied within the workplace. Successful candidates will receive the Human Factors Foundation Certificate from the Energy Institute, allowing you to demonstrate the skills that have been gained during the course. The application of Human Factors principles is imperative for reducing occupational safety risks, improving productivity and ensuring the health of the workforce. By implementing Human Factors principles, organisations can significantly reduce the risk of Human Error, which accounts for nearly 90% of accidents. The EI will be speaking at the IChemE Hazards 25 conference in May. Steve Sharwen (ABB, member EI Area Classification Working Group) will provide an overview of key changes in the 4th edition of EI’s hazardous area classification publication (‘EI 15’); whereas Dr Ed Smith (DNV-GL, author to EI Human and Organisational Factors Committee) will describe work to prepare comprehensive guidance on learning from incidents. EI will also have an exhibition stand, so come over and find out more about the technical work we are doing. This course provides 35 hours CPD. Please click here for more information. Effective learning from incidents (LFI) is critical for employees’ safety and environmental protection. Yet little is known about what constitutes ‘effective’ LFI and how to achieve it. Here, Glasgow Caledonian University’s Anoush Margaryan and Allison Littlejohn, and the Energy Institute’s Stuart King, explain. Learning from incidents (LFI) is important across a range of industries and is relevant for professional and government bodies and third-sector organisations concerned about health and safety. Industrial incidents cause injury, loss of life and environmental degradation – of particular concern to major hazard industries like the energy industry. However, after incident investigation has taken place, LFI initiatives tend to focus too much on the dissemination of information, assuming that access to incident-related information will lead to organisational learning and behavioural change. Yet research into adult learning demonstrates that access to information does not necessarily lead to learning. To learn effectively, people and organisations must have opportunities for reflection and making sense of information by relating and integrating it within their everyday work context. LFI initiatives in organisations seldom integrate reflection and sense-making opportunities. A key problem is that LFI has been limited to safety science and engineering. Theories and insights from adult learning and other relevant social sciences have seldom been applied to LFI. Also, integration of research and practice in LFI has been poor. To improve our understanding of LFI, an interdisciplinary, inter-sectoral approach bringing together scholars from relevant disciplines with stakeholders from the industry, professional bodies and the government is critical. To address these gaps, an international seminar series – ‘Inter-disciplinary perspectives on learning from incidents’ – is currently being organised. The first of its kind in the world, the series brings together practitioners and policymakers with scholars from a range of disciplines to provide new learning approaches and change methods that can be applied by organisations to improve health and safety across a range of industries. The seminar series is led by the Caledonian Academy, a research centre for Technology-enhanced Professional Learning at Glasgow Caledonian University (http://www.gcu.ac.uk/academy/), in collaboration with scholars from the universities of Aberdeen, Southampton, Edinburgh and Loughborough (UK), Trento (Italy), Helsinki (Finland), and Valencia (Spain), as well as stakeholders from the private and public sectors including senior representatives from the UK’s Energy Institute, the British Safety Council and the Health and Safety Executive. These people represent a range of disciplines spanning adult and organisational learning, sociology, industrial psychology and human factors engineering. Businesses represented within the seminars come from the energy, construction, transport, healthcare and finance sectors and include BP, ConocoPhillips, Costain Group, E.ON, Phillips66, Pinsent Masons and TC Global. Bring together scholars, practitioners and policymakers in order to advance the theory and methodology of LFI and to inject fresh conceptual ideas and innovative methods into the current approaches to LFI. Facilitate a mutual learning process and the joint development of ideas across different disciplines, between researchers and key stakeholders from industry, professional bodies, the third sector and the government. Strengthen the relationship between theory, practice and policy in LFI, ultimately in order to inform organisational strategies for better LFI. Develop an inter-disciplinary research and development agenda in LFI, by providing the networking for industry-academia collaborations in this area, in order to bolster the UK performance in health and safety. Disseminate awareness of research on LFI to a wide range of industries, organisations and policymakers and bring about the impact of research in LFI. The seminar series will have an anticipated short- to medium-term impact through participants’ exposure to innovative, inter-disciplinary insights from a range of fields they do not yet engage in, triggering novel applications within their own context. Joint knowledge development by industry and policy executives with scholars means that the knowledge has a solid practical and theoretical basis, improving the likelihood of adoption and application of research in real-world settings. Anticipated longterm impacts include enhancement of the health and well-being of employees; improved economic performance, through enhanced individual, group and organisational LFI; and increased effectiveness of LFI policy, through better-quality conceptualisation and research-based evidence. The final outputs include a roadmap for future research and development in LFI, and an edited book with LFI case studies from the private and public sector alongside research-focused contributions. The EI is running a 3-day training course, ‘Delivering safety culture change using the Hearts and Minds toolkit’, in London, 4 – 6 March 2014. This interactive training course and qualification has been developed to teach delegates the fundamentals of improving safety culture using the Hearts and Minds toolkit. Teach the fundamentals of safety culture change – focusing on each stage of a culture change programme, from design to implementation and review. Provide an overview of the Hearts and Minds toolkit – allowing delegates to get to grips with facilitating the Hearts and Minds tools. 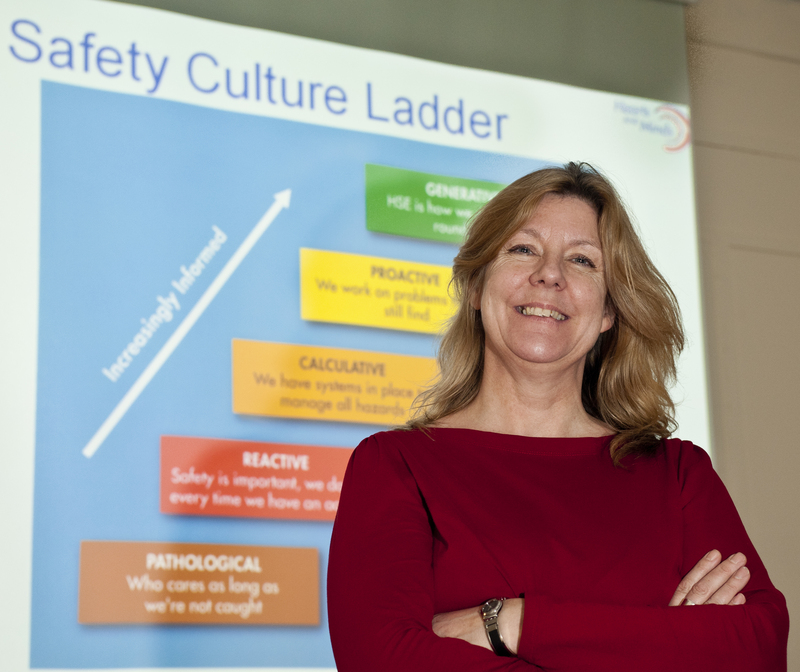 Allow delegates to learn from some of the leading experts in safety culture change. Illustrated with case studies and examples from the course facilitators’ own experiences, delegates will also have the opportunity to design a bespoke culture change plan for implementation in their own organisations. Anyone with responsibility for leading or facilitating safety culture development and change will find this course of benefit. This may include health and safety managers, senior operational leaders, trainers, safety champions, specialist consultants, as well as those interested in learning more about designing a cultural change programme. This biennial 2-day conference, organised by the Energy Institute Human and Organisational Factors Committee and the Stichting Tripod Foundation, explores the practical application of human factors in the management of major accident hazards (MAH) in the energy and allied process industries. Competence, with a keynote presentation from Ian Travers, Head of Chemical Industries Strategy Unit, Health and Safety Executive, on regulatory developments to help support competence management systems at COMAH sites. Learning from incidents, supported by the Stichting Tripod Foundation, providing delegates with the opportunity to explore the use and development of Tripod and related methods for understanding and learning from incidents. Human factors risk management techniques. Human factors integration, including contractor management. This conference will be of interest to anyone managing health, safety and the environment, including process safety and occupational safety, as well as those with a specialist interest in human factors and ergonomics. This will include those with responsibilities for managing competence and training and risk assessment. The event will also be of keen interest to those involved in incident investigation, analysis and learning from incidents processes – including users of Tripod Beta and related methodologies. The conference will enable the learning and sharing of good practice between companies and industries, and offer excellent networking opportunities with delegates from around the world representing operating companies, suppliers, consultancies, and academia. Click here for more information or to book your place at this event.